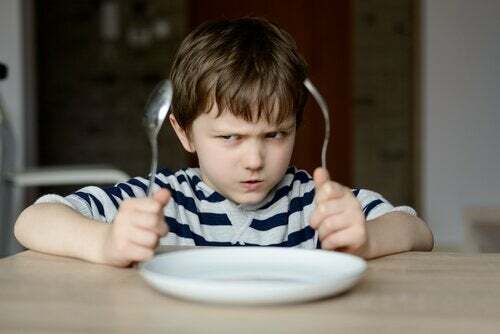 A long time ago and even still today, parents often force children to eat all the food on their plate. But is it right to demand this? Experts agree that children should not be forced to eat. Like every human being, children also realize when they have to eat and when it is necessary to stop. However, if we are constantly pressuring them to finish each dish, they will not pay attention to their body, but to what we impose on them instead. Julio Basulto, dietitian, nutritionist, and author of several books, says: “We must not insist that our children eat something they don’t want, more than they want, or faster than they can.” If we insist, we will only get negative results. On the other hand, it’s important that we take into account that children are children. They are smaller than us and that is why their diet will be different from ours. Especially when they are younger. Their stomachs are smaller than ours, therefore, we can not expect their portions to be the same size as ours. We believe that we are doing something good for our child when we insist that they eat something they don’t like or that they finish their meal. But this isn’t right. If we force children to eat, it may cause them to actually reject the food. On the other hand, if the child continues to eat when satisfied, they will be eating more food than they need. 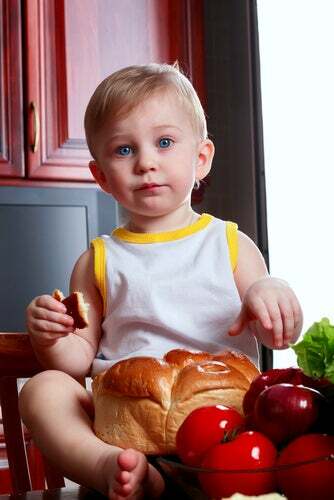 When a child eats more than they need, they could become overweight. What are the typical behaviors that we should avoid? What can we do to make them eat? Give them time: Each person eats in their own way and at their own pace. Both parents probably have different speeds. It is important to understand this and not to pressure the child. Respecting their time for each meal will make them feel more calm and comfortable when eating. Offer new foods little by little: Children should adjust and get used to each new food one by one. If we offer many new ingredients in the same meal, it will be more difficult for them to adjust. They will do better if we suggest new dishes little by little, without forcing them to eat anything if they don’t accept it the first time. Avoid distractions: Mealtime should be exclusively for eating. It is preferable to avoid television and all kinds of toys. This way, children will focus only on the food. Eat with the family: It is important that they acquire the habit of eating when others do. Bringing them to the table during mealtime will improve their relationship with the environment and with food. Remember that as they grow they want to feel included and be part of everything you do. 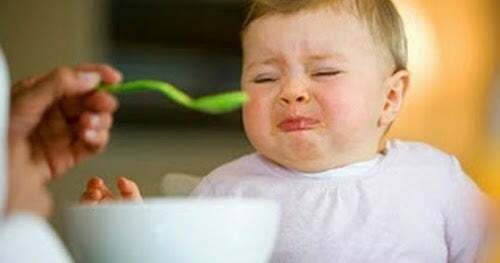 Set an example: If you want your child to eat something, you should eat it too. If you try to feed them something that you are not willing to eat, it will be hard for them! You must show the child that what they are trying to eat is delicious and you like it too. Avoid making worrying or concerned faces when giving a new food: It should seem like something natural. If not, the child will notice that something is not right and will be alarmed, increasing the likelihood that they will refuse food. Avoid sweets and other snacks before meal time: If we allow them to eat snacks before lunch or dinner, the child will be less willing to eat. If you offer something that does not tempt them too much, it will be easier to reject it since they have already eaten something earlier. Remember that everyone needs their time, and respecting the child’s time will help build a better relationship and provide the tools so you can offer them a healthier diet.